Kulečník, stolní fotbal & co.
Švihadla, Gummitwist, chůdy & Co.
Abychom Vás mohly zaregistrovat, potřebujeme kopii Vašeho živnostenského listu nebo zápisu v obchodním rejstříku. Použijte náš rychlý a snadný upload-servis a uložte Váš živnostenský list on-line. The yellow school busses are always shown in US-american movies but this version is more than just a vehicle for the way to school. 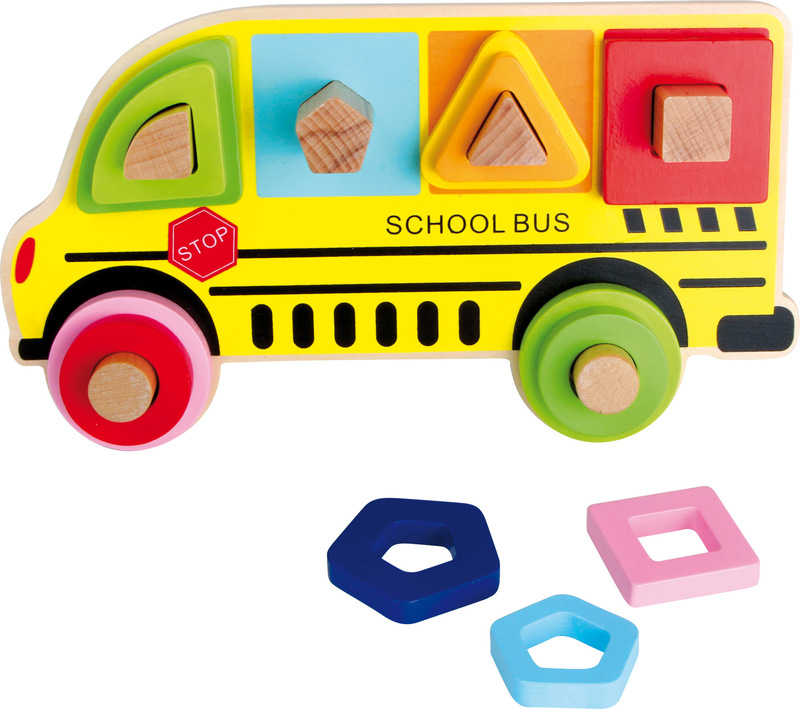 With this puzzle little bus drivers can match the coloured geometric shapes, sorted according to size, to the corresponding bars. A perfect way to train the recognition of colours, shapes and sizes in a playful way.